Luis Alejandro Tapia, a son of Dominican immigrants, brings almost two decades of experience in community and youth development. His journey from program participant to director to consultant aids him in engaging wholly with young people and their communities. Luis Alejandro specializes in harnessing the enthusiasm and skills of those he serves, promoting organizational growth through team learning, coaching teams in managing their resources and delivering on critical organizational objectives. He has facilitated unique programs for a range of agencies in New York City, including the Department of Juvenile Justice, NYC’s Department of Youth and Community Development, Harlem Children’s Zone, the Police Athletic League, Public Allies, Urban Dove, Union Settlement, Fresh Youth Initiatives, the Y, Urban Arts Partnership, The Boy’s Club of New York and buildOn to name a few. Luis Alejandro knows that our communities of color have the power to create change and demands the support and encouragement of those privileged to inhabit them. 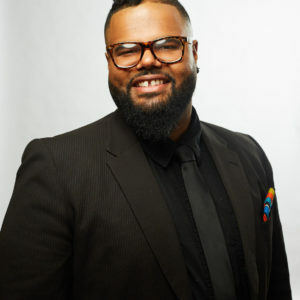 Luis Alejandro serves as a social impact and equity consultant, a racial and restorative justice coach and trainer, circle keeper, social justice educator, and facilitator at the intersections of spirituality, justice, healing and liberation. Luis Alejandro is also the founder of BlackBoyRise.